As the first in an occasional series on our blog, we’re posting about how folks are using the 2013 SonomaVegMap LiDAR data. 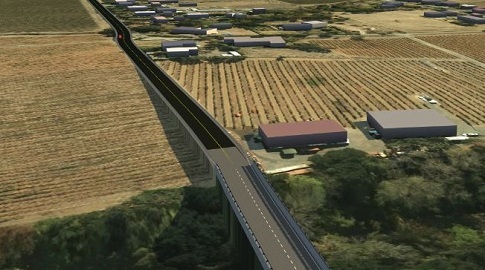 Mark Wein, Civil Engineer for Sonoma County’s Department of Transportation and Public Works, uses the LiDAR point cloud to help when designing new roads and bridges. Mark uses Autodesk products to create triangulated area networks (TINS) from the point cloud. The software provides Mark with advanced point cloud filtering options that give him the ability to create his own customized ground surface TINs for a project area. The resulting road designs and TIN surfaces help Mark and other TPW staff to design new road infrastructure and to perform watershed and water drop analysis. Thanks very much Mark for sharing your work with SonomaVegMap!